And all the other areas within the CDG training standard. 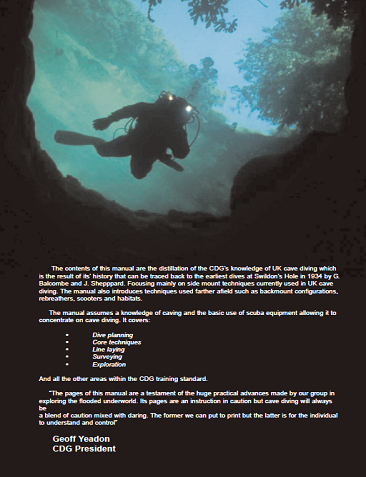 “The pages of this manual are a testament of the huge practical advances made by our group in exploring the flooded underworld. 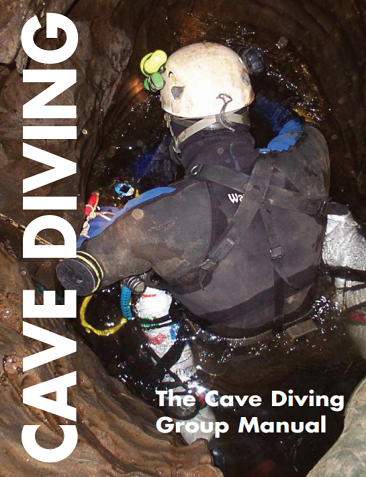 Its pages are an instruction in caution but cave diving will always be a blend of caution mixed with daring. The former we can put to print but the latter is for the individual to understand and control”.